Directed by Pete Docter, Bob Peterson. With Edward Asner, Jordan Nagai, John Ratzenberger, Christopher Plummer. 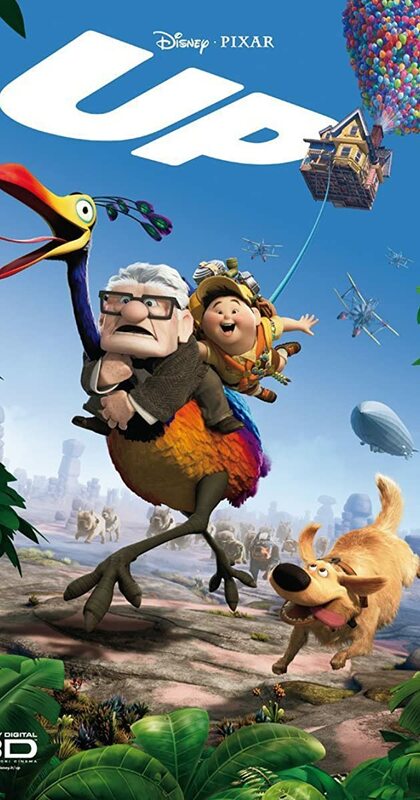 Seventy-eight year old Carl Fredricksen travels to Paradise Falls in his home equipped with balloons, inadvertently taking a young stowaway.